Michigan trumpeter Justin Walter‘s solo work centers on evocative, intuitive explorations of the EVI (Electronic Valve Instrument), a rare wind-controlled analog synthesizer from the 1970’s. Its unique, smeared tonality allows for an expressive range of glassy, jazz-like textures, which Walter loops and layers with hushed electronics and twilit trumpet, painting opaque landscapes of resonant beauty. 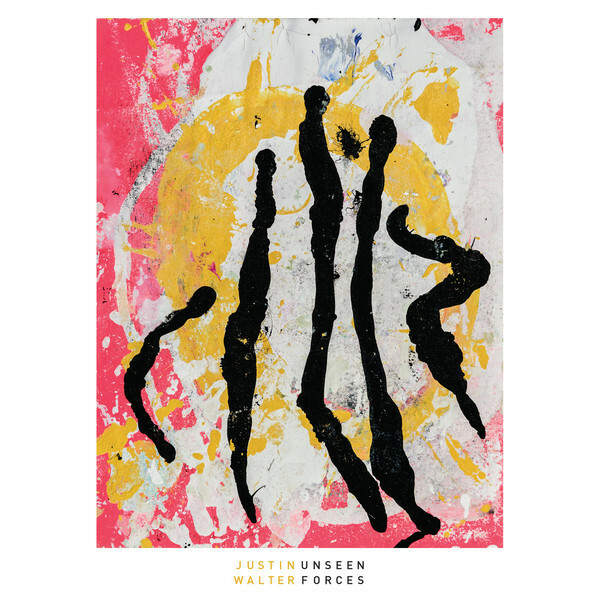 Walters 2013 debut, Lullabies & Nightmares, included a handful of collaborations with percussionist Quin Kirchner but Unseen Forces finds him fully solo, refining the project to its essence: shape-shifting watercolors of pastel haze, lit by the soft synthetic glow of electric breath. It’s a sound both modern and timeless, fusing emotion and technology, gauze and melody, force and fragility. Unseen Forces is a collection of recordings that document the use of improvisation as a means to create sounds that can either function on their own or serve as the foundation of, or source material for, additional improvisation. There was a definite process used to create this music but at no point was any music ever written or composed. When putting this music together I was often aware of feelings related to density, spacing, silence, and the sense of time pulling back on itself, like trying to stretch a scene and pull on it in ways that distort it ever so slightly. This is a record of melodies, alone and in complex relation. This music is a reflection of both feeling, and thought, as much construction as composition. The recordings of the EVI, as well as the sequencing done using samples of those recordings, are mostly the result of exploring melody through intuition. Harmonically simple, but with a complex palette of texture.